Airing My Laundry, One Post At A Time...: What's In The Kawaii YumeTwins May Subscription Box? 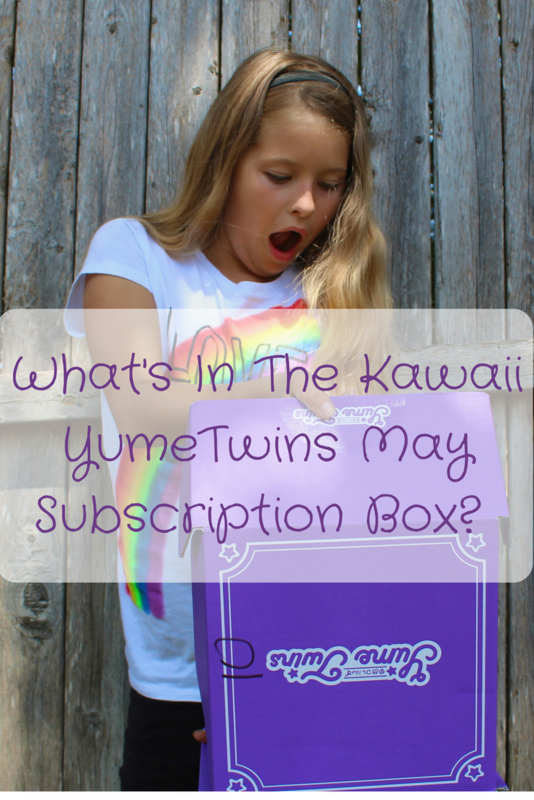 What's In The Kawaii YumeTwins May Subscription Box? My daughter is all about kawaii stuff, so when I heard about the YumeTwins subscription box, I knew she'd love it. It's full of kawaii items! Remember I showed what was in it last month? Well, here's what was in May's box. --A silvia and silvester mascot keychain! Natalie was all, "Aw, he's so cute!" She has him on her backpack. --An Amuse Tsuchineko Plush Pouch. I like the angry expression and yes, you can put pencils or other items inside! Once again, Natalie loved everything. Her favorite was the cranky cat pouch. She named him Mr. Meows A Lot. To get your own YumeTwins box filled with kawaii goodies, you can order one here. Those are some tongue twister items! The YumeTwins box looks like a lot of fun for children though! Omg, haha those are super adorable! I still love stuffed animals, but I think this box is perfect for little girls! Oh how cute! I love that angry little kitty too! this is super cute..I am sure little ones will have a lot of fun with them..
Look at all that good stuff in there. That Tsum Tsum coin purse is super cute. Wow that box is super cute! How adorable are all the pieces inside! Cute stuff and Natalie's reactions are the best! I haven't heard of this before, but it sounds like an amazing box. I always appreciate original boxes. Wow, this looks like a fantastic subscription box, I have never heard of this before! I love all things Kawaii, especially kitties, as does my daughter, Ellie. Fab post. The subscription box is full of fantastic items. Children who are privileged to have it, will like it. I would love to have that cranky cat oouch too! I should subscribe for my daughter too. I will check on it now. Super cute. I imagine kids would love these. Aw that is adorable, Amuse Tsuchineko Plush Pouch is so darn cute with its grumpy expression. What a great subscription box! What a fun box! I love how happy your girl is. I think it's a win in her book. The box is really cute. I would have loved the water bottle. But I think my daughter would have loved the tsum tsum type creature. Great Post! I love it. I never heard of this before. Thanks for sharing. I love Tsum Tsum and this is a great gift idea for my young sister. what a fun box! I've never heard of something like this but I loved all things Kawaii when I was little so this would've been amazing to have! This box is so good! I loved how all the stuff matches Natalie's attire. I loved the plush toy, cute! Those are cute plush toys! But no gummies or candies? That grumpy cat is totally cute. Wow this loooks amazing. I am a huge kawaii lover since i was a child. If this sub box was around when I was a kid I would of been in love! What a great box. The tsum tsum coin purse is so kawaii. I got to say that has to be y favorite. Wow, that's a really awesome box! So much more than one would expect, I just love the black pouch. What a super cute subscription box service. I know quite a few little girls that would love getting this box! How fun is this?? For me, I'd want the tsum tsum coin purse. I think Scarlet would like it too, and anything cat-related. This is an adorable box idea! I like the angry cat the best too. Does Natalie watch Denis Daily videos, by any chance? Shelby wants to marry him, because he loves cats and she loves cats. Natalie is such a natural at modeling clothes and accessories and her toys! I think this is a fun subscription box especially if your child is into that Kawaii stuff! Everything SO adorable!!! These are so cute, your daughter is a star already. Love the komosan plushie! My daughter likes watching Yokai Watch and this is one of her favorite characters!